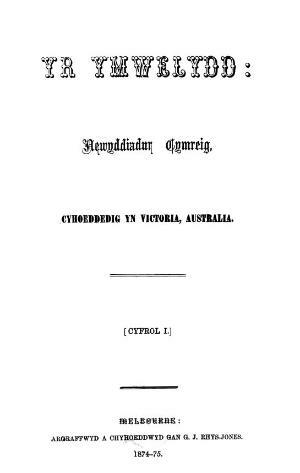 A monthly Welsh language religious periodical serving the Welsh communities of Australia and New Zealand. The periodical's main contents were religious articles and general news. The periodical was edited by the miner and minister, William Meirion Evans (1826-1883).